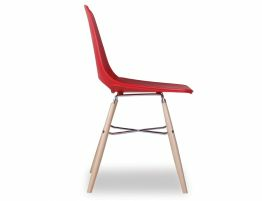 Reminiscent of the Eames Eiffel chairs, the Wasowsky chair from Spanish designers Enrique DelAmo and Angel Marti deftly blends old and new to give us a red modern dining chair worthy of your spaces. 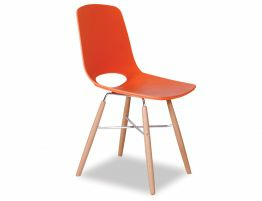 This red modern dining chair offers a soft molded seat that hugs the body for a comfortable feel. 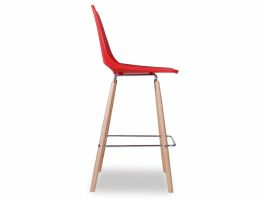 And our red plastic wood chair combines a techno-polymer seat with beechwood legs for a balance of materials that makes this modern kitchen chair feel fresh and on-trend. 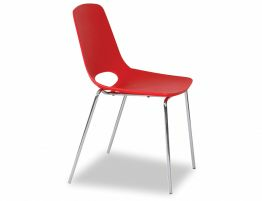 This modern chair comes in a host of colours but we really love it here in spanish red! 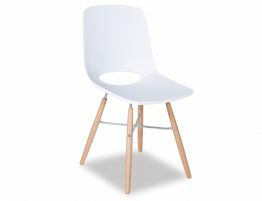 Is there anything so versatile and usable so lasting in style as a white modern dining chair? We think no. 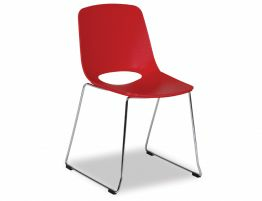 Go red, go fun, go modern and minimalist with the red Wasowsky dining chair. 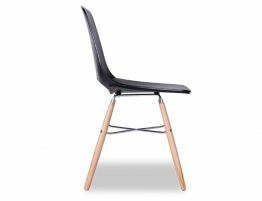 Get the fresh, modern look of this modern dining chair for your home kitchen, casual dining room or busy café or restaurant.